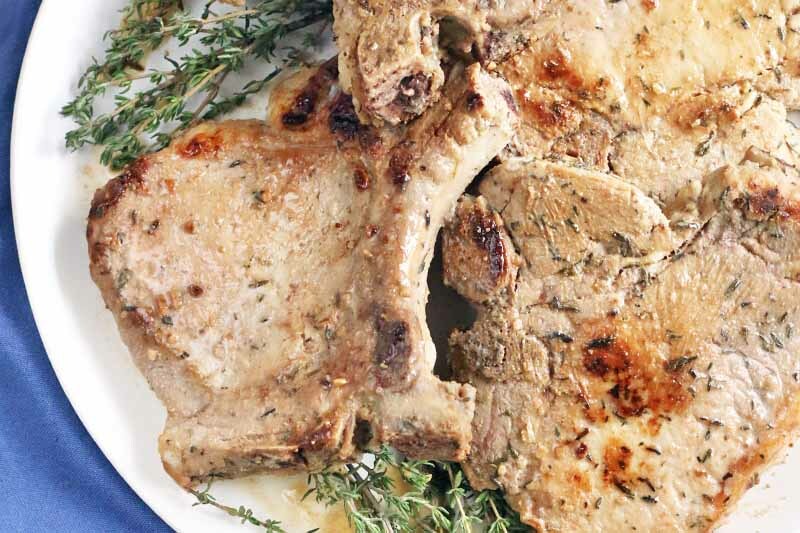 Beef and pork may be the most ubiquitous protein on the dinner table, but don’t forget about your old friend, pork. It can be made lean or fatty depending on your dietary needs (low fat or keto) and it can be crafted into almost any food style. 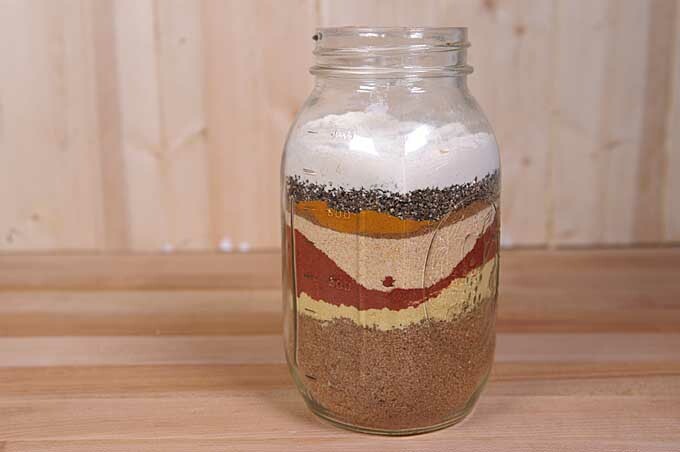 Easy to work with, many recipes will make you look like a master chef. And many recipes require minimal work, time, or effort. From honey mustard chops, to pulled BBQ, to roasted tenderloins, we’ve got you covered. Check out all of our delectable recipes below! Looking to impress at your next dinner party? 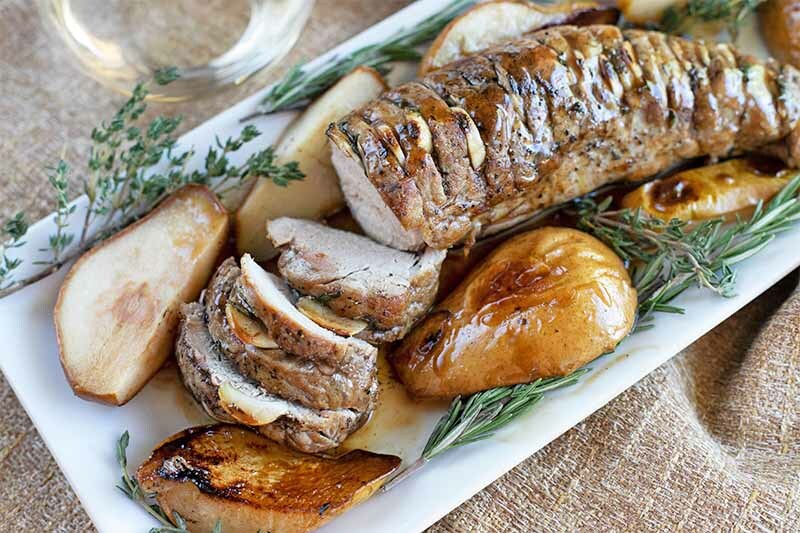 This herb roasted pork tenderloin with pears is a jaw-dropping main dish your guests will go crazy for. 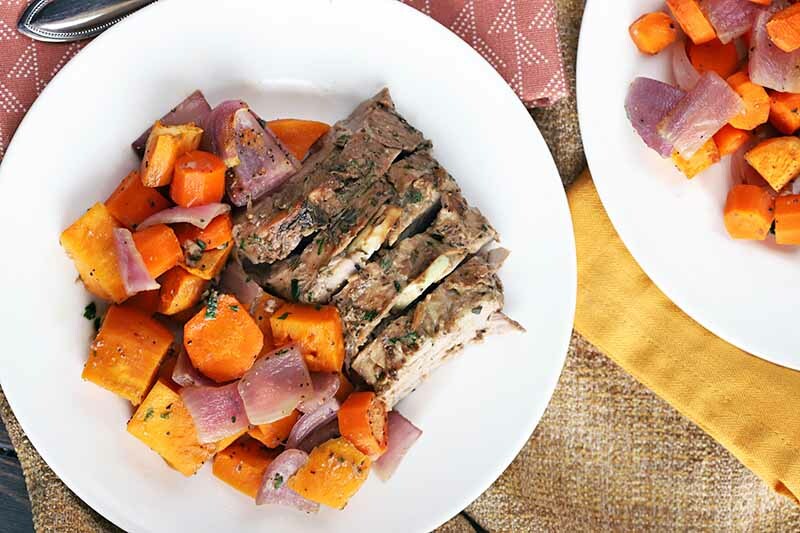 The Hasselback treatment of the meat infuses it with intense flavor, with subtle sweetness from the seasonal fruit, and a pan sauce that will excite your taste buds. 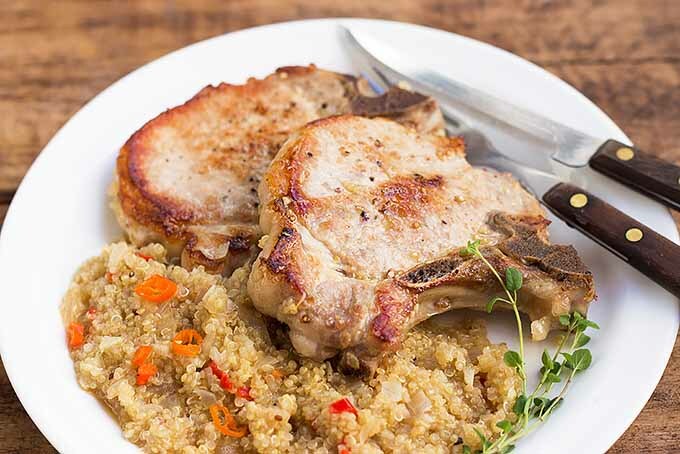 Marinated apple cider pork chops are juicy with a hint of tangy flavor, a delicious addition to an elegant fall meal alongside your favorite starch. 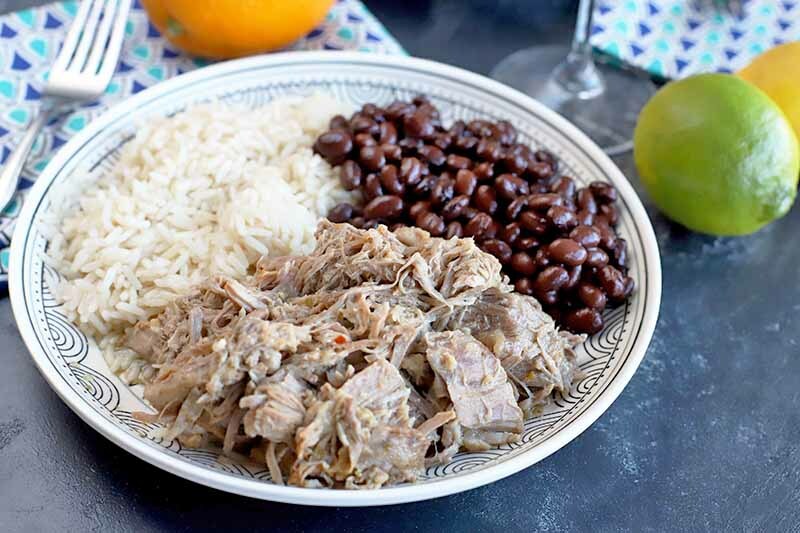 Served with caramelized apples and onions, the richness of the meat comes through in each bite. Learn more about how to make this classic, simple recipe now on Foodal. During the weekdays, you don’t want to spend too much time cooking dinner, especially after a long day at work. 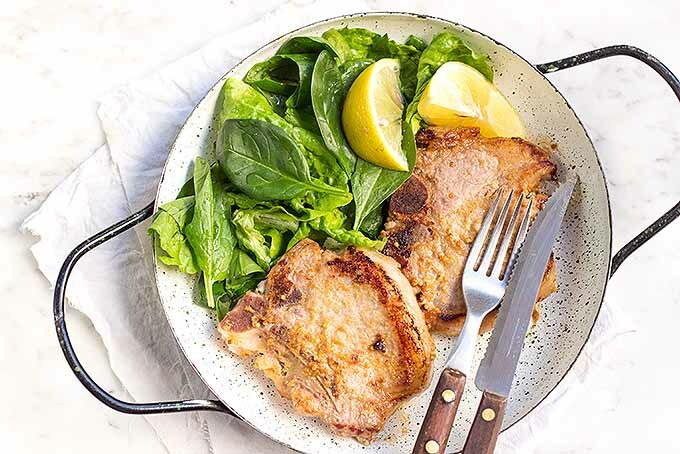 This recipe for simple but delicious pork chops, marinated in a honey mustard sauce and served with a fresh salad, is going to be a favorite in your weeknight dinner rotation. Click to get the recipe from Foodal today! Do you love the taste of smoked and grilled pork, but yours always turns out dry? The secret to juicy and meaty ribs and Boston butts lies in the perfect dry rub. Get our recipe now! 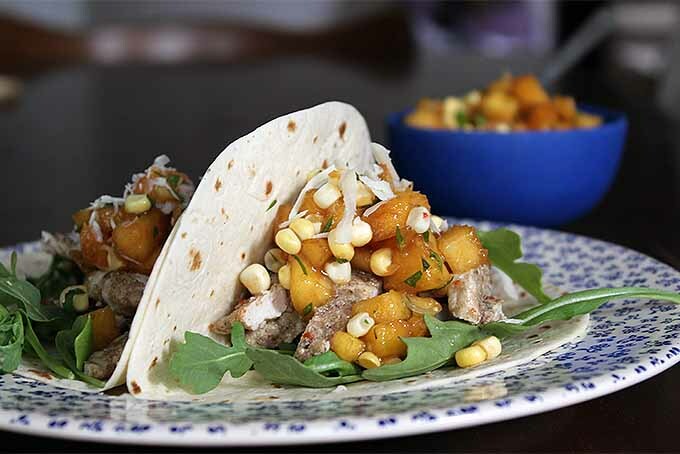 These spicy pork tacos with peach and corn salsa are the perfect way to enjoy seasonal produce at its peak. They’re quick, healthy, and super tasty – what’s not to love? You can crank up the spicy heat if you crave a little burn, or tone it down if you’re feeling more reserved. 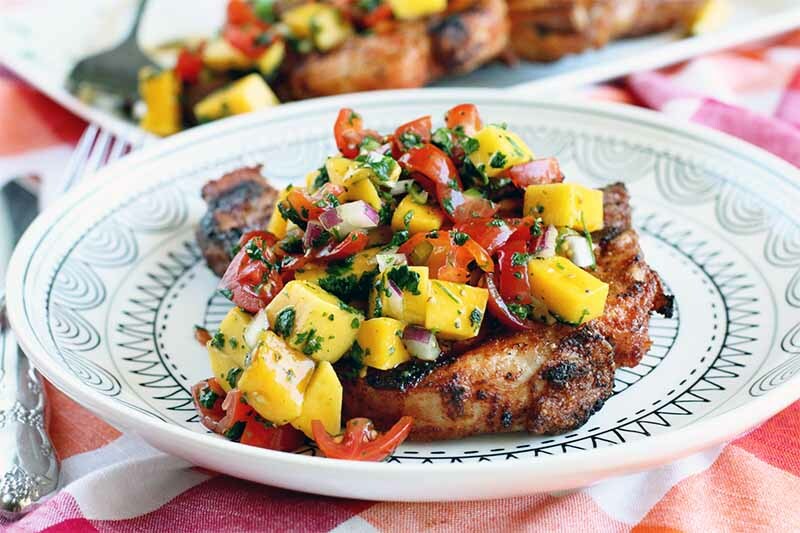 Fire up the grill and try this recipe out for dinner tonight. 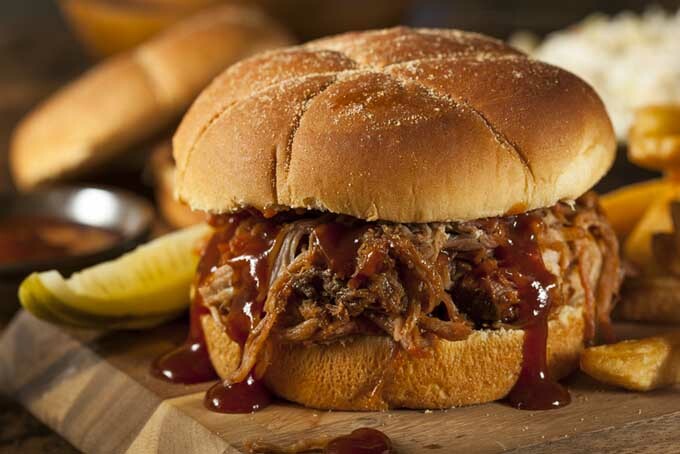 A southern classic, pulled pork is an awesome summertime barbeque food that can be easily prepared right at home. This article includes a guide on how to smoke as well as recipes for a dry rub and a traditional “wet” barbeque sauce using common ingredients. Click to read more now.